Both my girls enjoy travelling and have passports. My parents took them to Florida in 2011 and Bridget has been asking me when she can go on another vacation. I would love to go away somewhere nice with just John and I and my two girls. None of us have ever been to the Caribbean so that’s the spot I’m leaning towards right now. 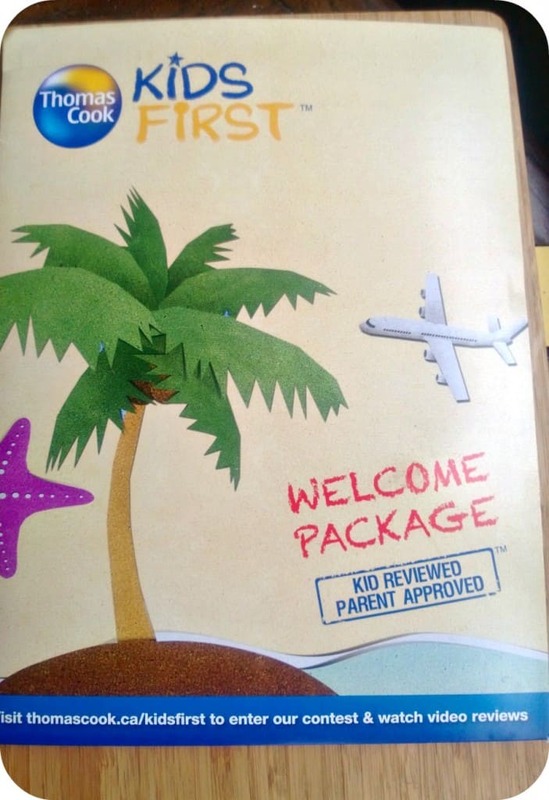 Recently I was introduced to Thomas Cook Kids First Family Vacations and am really impressed by the way they have their program set up. It’s Kid Reviewed & Parent Approved so you can trust that the spot you pick will be geared towards fun for the whole family. When you visit their site, you will see a list of destinations (Caribbean, Mexico, Cuba, Dominican Republic, Jamaica) and then you can drill down to the various resorts and see what each offers and the reasons why your family will love it. You can also watch Video Reviews by kids who have vacationed there with their families. If you have any questions or concerns while you are trying to plan your vacation, you can always call the Kids First Travel Specialist at 1-888-926-6582 for advice or help in making your decision. This package is geared towards families and it will help you get ready for your trip. Bring the VISA with you to use on your vacation for some extra spending money. I’d also buy some books & magazines at Indigo for reading material on the plane. The Shopper’s Drug Mart GC can be used to stock up on toiletries and other essentials you will need for your trip. The Activity Books are a great way to keep the kiddos busy at the airport and on the plane. I’ve never experienced an Airport Lounge Pass, but it’s always been something I wanted to check out just to get out of the crowds and be able to relax in comfort. When you are booking your next family vacation, I encourage you to keep Thomas Cook Kids First vacations in mind. They know exactly what families on vacation need even if you aren’t sure what to look for! Win a Family Vacation to Beaches Ocho Rios! Thomas Cook Travel is inviting all kids going on a Kids First vacation to submit video reviews to win some pretty amazing prizes including a trip for four to Beaches Ochos Rios Resort & Golf Club! There’s also weekly prizes of IndigoKids gift cards and family movie passes. The contest is open to Canada (excludes Quebec) and ends on January 15, 2013. Visit Thomas Cook Kids to enter. I’d love to go to Cuba! Would love to book a family vacation to the Caribbean! Any of the Caribbean spots sounds great in this Canadian winter! I would definatly take a family trip to Jamaica!! 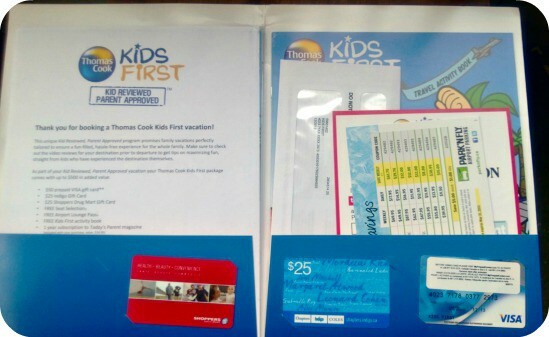 Please Enter Me In Your Thomas Cook Kids First Family Vacation Giveaway . Visit Thomas Cook Kids First and tell you where i would want to go on my vacation with my family. I Would Want To Go To Varadero Cuba For Vacation. Hope everyone had a great holiday season!! !